Reserve a Museum Pass or a Special Item for the day you will pick it up from the Library. Adult cardholders, 18 and over, may reserve a Museum Passes and Special Items on our website, in person or by calling 631-589-4440. The day that you reserve the pass or special item for is the day that you must pick it up. You cannot pick up the pass or special item before the date that you reserved it for. All museum passes and special items may be borrowed for three (3) days in total that the Library is open (not including Sundays). Museum Passes and Special Items are due by closing time and cannot be returned in the book drop. Bocce Ball is a strategic game in which the objective is to throw or roll heavy balls as close as possible to a small target ball. 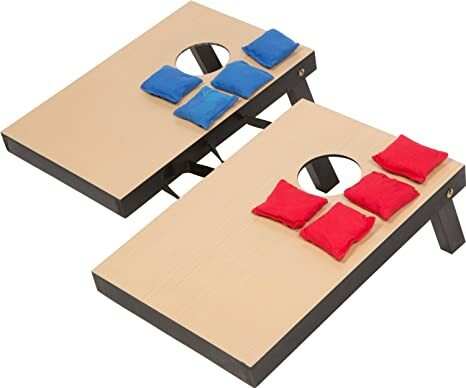 Corn Hole is a bean bag tossing game for two players or two teams. Players aim at a raised platform with a hole in the far end. Croquet involves hitting wooden balls with a mallet through hoops (wickets) embedded in a the grass. Kan Jam is a frisbee game, with two cans for each team. Frisbee is included. 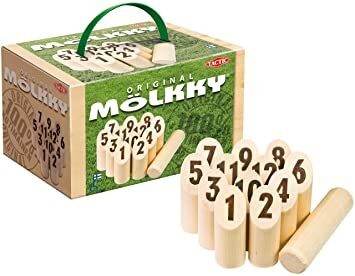 Molkky is a unique and very fun Finnish lawn game. It is a combination of bowling and darts. Toss the rope rings at the wooden scoreboard and see if you can hit the pegs! Whoever gets the most points, wins the game! Each pass admits up to 2 Adults and 4 children for free. Restrictions may apply. Pass entitles free admission for 2 adults and 2 children to museum galleries during normal business hours and a discount of $1.50 on IMAX tickets. Restrictions may apply. Pass admits 6 people for free with free admission for children ages 2 years and younger. You must also present your Sayville Library card. Restrictions may apply. Pass allows for free admission for 4 patrons of the Sayville Library. This pass is good ONLY for admission by patrons of the participating Library during normal museum hours. Children must be accompanied by an adult for admission. No unaccompanied adults are allowed. No other privileges, discounts, licenses, or benefits are applicable. NOT valid for admission to theater performances, workshops, or special events. Other restrictions may apply. Each pass admits up to 2 Adults and 2 children to enjoy access to the House and Gardens. Restrictions may apply. Old Westbury Gardens is closed for the winter and will reopen for weekends (Sat-Sun) beginning April 2. Then daily, except Tuesdays, beginning April 25. Each pass admits up to 2 Adults and 4 children people for free. Restrictions may apply.